At Telsec, we not only offer office space, we also have a variety of virtual office solutions that can help to efficiently manage your business regardless of your physical location. But what are the actual benefits of virtual offices? Technology now allows people to work from anywhere, so much so that many companies realize that they do not need to be paying rent on office space that they do not utilize. When a small business needs a professional business address without needing physical office space, virtual offices are the best solution for that particular business. If you have a home-based business and want to engage a virtual office solution, a virtual office provider can give you a physical address without having to rent a physical office. And your home address will remain private. Business centres that offer virtual office solutions can also provide you with a phone and answering service, so you won’t have to hire a receptionist or take time out from your busy day to answer all your businesses calls yourself (especially those annoying telemarketing calls). Even larger companies with remote or home-based workers can benefit from a virtual office because they can use the business centre as a central hub for all their employees. When a customer calls into the main number of the business and wants to speak to an individual employee, they can be transferred to the phone of an off-site employee without knowing that the employee is not physically in the office. Besides offering a centralized location for your business, a virtual office can add legitimacy to your business. Having the physical address that comes with a virtual office will let your clients know that your business location isn’t simply your home address. With a virtual office, you can save on the commute time to the office from your home, which will also cut costs and reduce your carbon footprint by not having to drive to work. Not having to sit in traffic for an hour or so each day commuting to and and from the office, can also allow you to spend more time with your family when your work day is done. What are some of the other benefits of utilizing a virtual office situation? 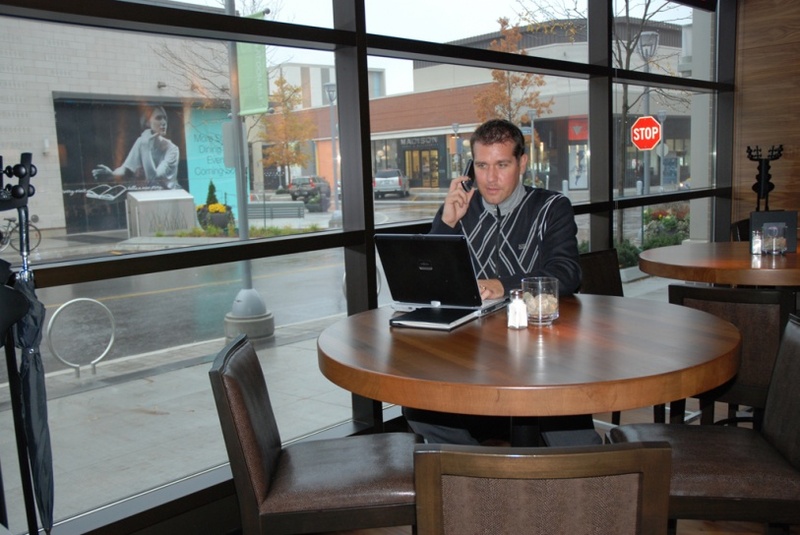 Even if you need a physical office space for yourself and the core members of your team, the remainder of your team can still work from home or on the road while still appearing to be “in the office.” When used in combination with a physical office space, a virtual office can free up more space in the physical office. This means that virtual offices also allow a greater number of employees to work at any given time, without needing extra office space for them to work in. Because the best virtual office locations are within office business centres, you can still bring more employees into the office when you require it. Even if you have not rented enough physical office space, a business centre can offer you more space on a temporary basis – without having to change your business address or phone numbers. Most importantly, with a virtual office, you never have to worry about scaling up or downsizing. Your address remains the same and your customers are none the wiser as to how much space you have, and how many of your employees actually work there or from home.